Erle Norris Henshaw2,3,4 [Earle Henshaw5, Earl N. Henshaw1]. 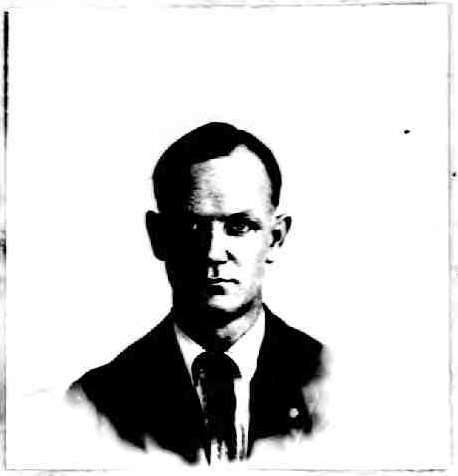 Henshaw, Earl N, head-of-household, age 41, born in Texas; father born in Ohio; mother born in Georgia; first married at age 29; owned home ($4,000 value); no radio in home; occupation: "Engr, Sp Ry" [engineer, Southern Pacific Railroad]; World War I veteran. Henshaw, Ella F, wife, age 37, born in Louisiana; parents born in Louisiana; first married at age 25. Henshaw, Erlene, daughter, age 10, born in Texas; father born in Texas; mother born in Louisiana; attended school. Henshaw, Fred, son, age 9, born in Louisiana; father born in Texas; mother born in Louisiana; attended school. Molbert, Virginia, mother [sic], age 85, born in Louisiana; parents born in Louisiana; widow. Henshaw, Erle N, head-of-household, age 50, born in Texas; completed 4 years of high school; on Apr 1 1935 was living in the same house; owned home ($3000 value); occupation: building engineer, railroad building. Henshaw, Ella C, wife, age 46, born in Louisiana; completed 9th grade; on Apr 1 1935 was living in the same house. Henshaw, Erlene R, daughter, age 21, born in Texas; completed 2 years of college; on Apr 1 1935 was living in the same house; occupation: stenographer, typewriter sales. 1930 census, 4th Ward, Houston, Harris County, Texas; roll T626-2347, ED 76, page 28A, line #10, dwelling #217, family #232. 1940 census, Houston, Harris County, Texas; roll T627-4196, ED 258-204, page 6B, line #78, household #183. 1920 census, 4th Ward, Houston, Harris County, Texas; roll T625-1813, ED 65, page 7B, line #86, dwelling #67, family #155. 1910 census, 9th Ward, Dallas, Dallas County, Texas; roll T624-1544, ED 71, page 18A, line #45, dwelling #10, family #11.